While the suitcases are piled on one corner, a to do list is hanging on the refrigerator along with a calendar scribbled on and is fervently waiting to be checked off, I am already planning with my friends in India about the time when we will meet. Our 6 weeks journey for the summer is approaching soon and we have way too much to do before that. The end of the school year always gets frantically busy. And my heart is skipping a beat every time I think about getting to meet my family and friends; a lot of friends with whom I connected after many many years. Quinoa is an amino acid (protein) rich seed (though often treated as a grain), which would be considered the “gold of Incas”. Although, quinoa is not a very common pantry item, it is ancient, being native to South America. Quinoa is known to supply the diet with “complete protein”. I discovered this gem a little more than a year back, and ever since it has become a staple item for our weekday quick lunch; usually in the form of salad, with different vegetables, fruits (or both) and fresh herbs tossed with some olive oil and lemon juice, like this one. Well today’s recipe is not a salad, as you would have realized. 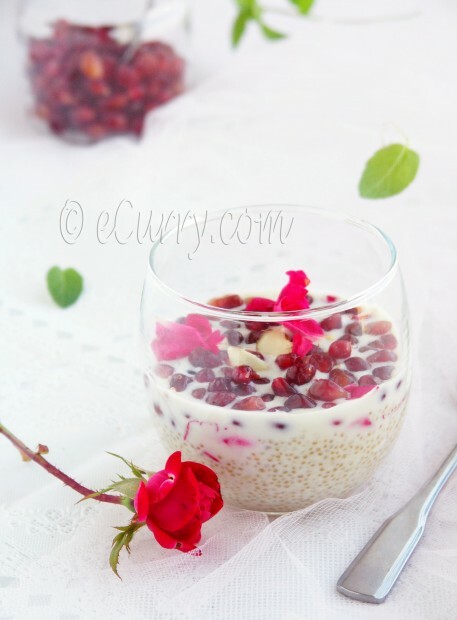 I had seen Aran’s Quinoa pudding almost a year back, and fell in love with the idea. Just recently when I made the Tapioca Pudding, I started looking into more options to make a pudding without using the traditional rice. With Aran’s inspirations, Quinoa had to be the next one to try. I waited long to make the pudding; for some reason the flavors I thought of quite did not excite me enough. I thought of quinoa pudding, with Blueberry Compote or with Raspberry Coulis or even Mango and Saffron – I wanted something exotic, but none of them struck the right chord. I kept pondering, until the lovely spring arrived and the warmth of the sun set our imaginations and the rose bushes in fire, all in a few days. It had to be rose! All the other options faded into oblivion. If you are still wondering, we do eat roses. Yes, literally. Rose with yogurt, rose with milk and they also make very elegant desserts. Since we do not use chemicals in our bushes, the flowers are safe enough to eat after a good rinse. My kids have been munching on rose petals with a drizzle of honey. Who could say no to that? In the mean time, I found some pomegranates; not a likely fruit at this time of the year, but we got greedy and bought a couple anyway. With the rose and the pomegranates, the flavor for the pudding was decided, there was no looking back. Never before have I made a pudding with fresh fruit, and I was so looking forward to this. I knew would be good. 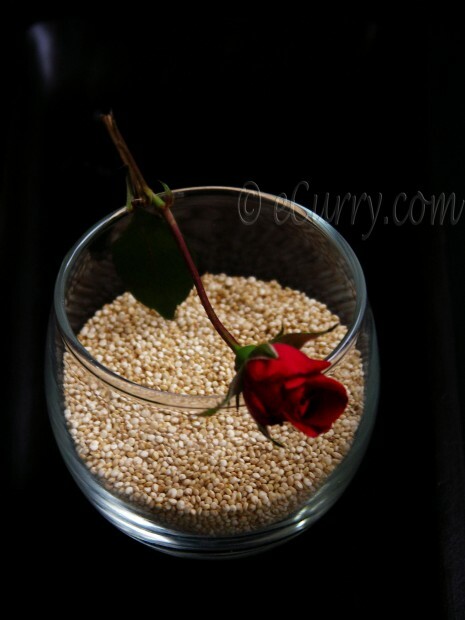 Using rose water is an ancient practice in Indian cuisine. Not so much is the use of fresh flowers. But since I have a bountiful of fresh blooms, there was nothing to stop me. 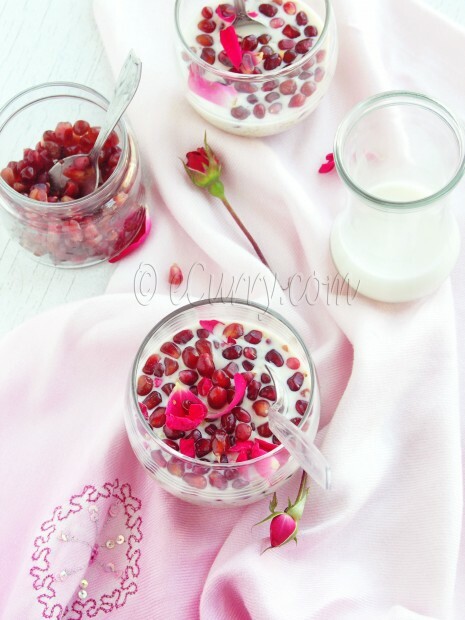 We have combined rose and pomegranate before, mostly when we whip up a quick healthy snack with some creamy yogurt. The quinoa itself has a slight nutty flavor. I added some slivered almonds as well. The creamy chilled pudding, with the cooling and light aroma of the rose and the plump jeweled fruits was as fresh as the spring and simply divine. Place the quinoa in a strainer and rinse it well with cold water for about a minute. Using a fine strainer helps while washing quinoa. Combine the milk, half and half, sugar, in a saucepan and bring to a simmer. Add the quinoa and stir it in. Reduce heat to low and cook for about 45 minutes, while stirring every few minutes. (I usually use a whisk to stir the pudding). If a film forms on the surface, stir/whisk it back. The milk will thicken and the quinoa should be cooked. Cook till you achieve the desire consistency. (we prefer our pudding not so think and dense, so I allow it to be a like a soup). 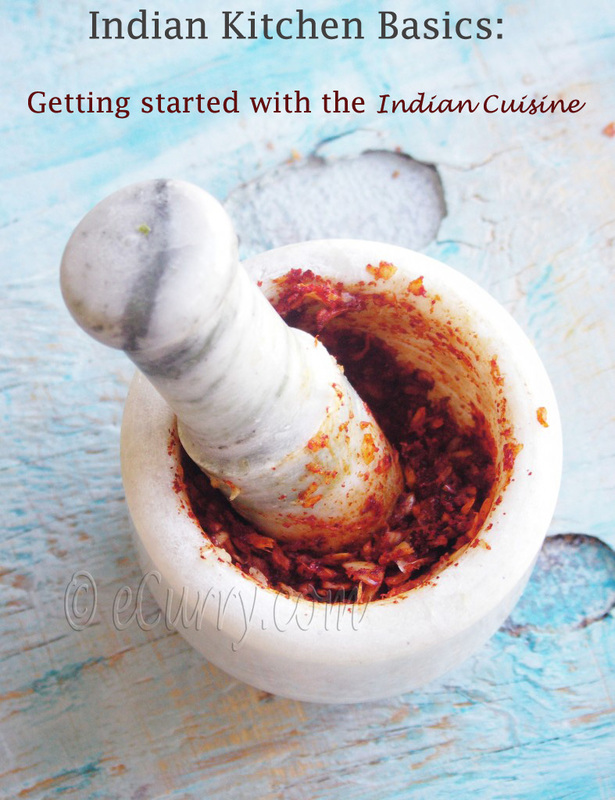 Before taking it off the heat, add the nuts if you are using them and stir them in. Cool the pudding and combine the rose water with the pudding. Chill the pudding. Wash the rose petals and pat them dry. Chop the petals in small pieces and stir them in the pudding. Top the pudding with pomegranates and more petals if you wish. Sending this pudding to WHB #280, hosted by Haalo of Cook Almost Anything. This pudding was not thickened, like you would get a solid scoop. It as more like a soup consistency. If you like your pudding dense, simmer it longer for the milk to thicken. I have used part whole milk, and part half and half, but you can use all milk, or heavy/double cream instead of half and half and adjust the ratio for the milk/cream/half and half as per your needs. Any fresh fruit or compote or flavor may be used. 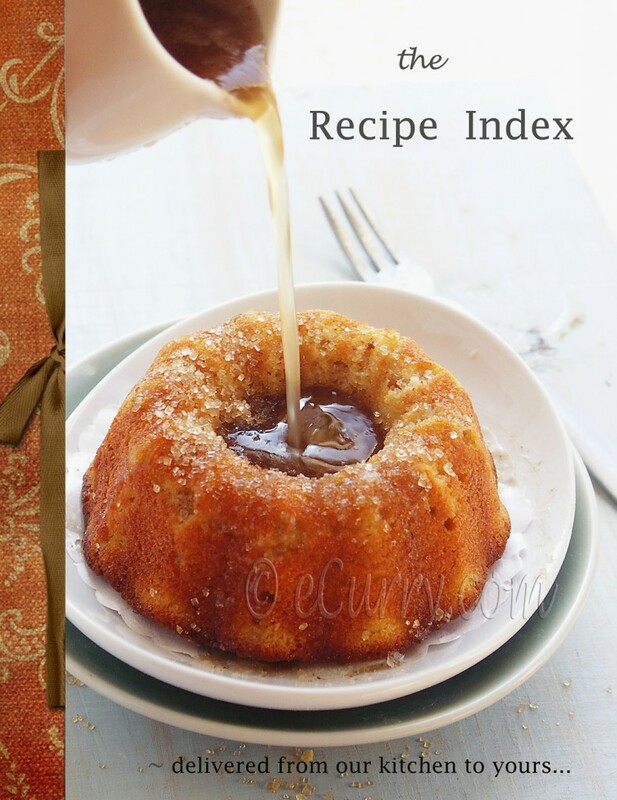 The pudding recipe is a basic recipe, open to make it your way. 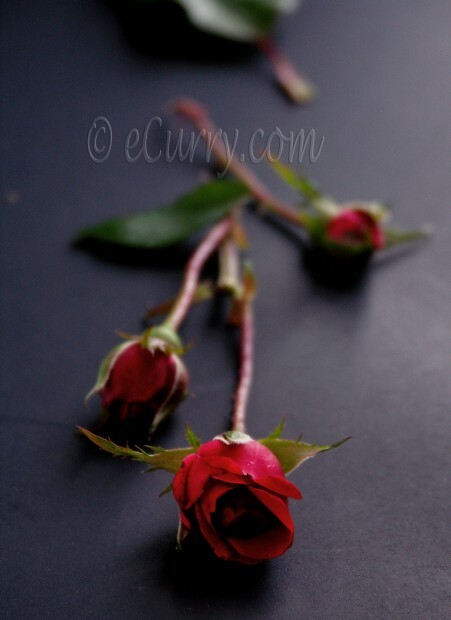 So this is what the rose photo was for ;p. I was curious if that was food-related. The exposure is looking great, Soma! Wish I could try this. Might just convince me to like quinoa ;p.
And the photographs are SO beautiful…I can’t stop staring! 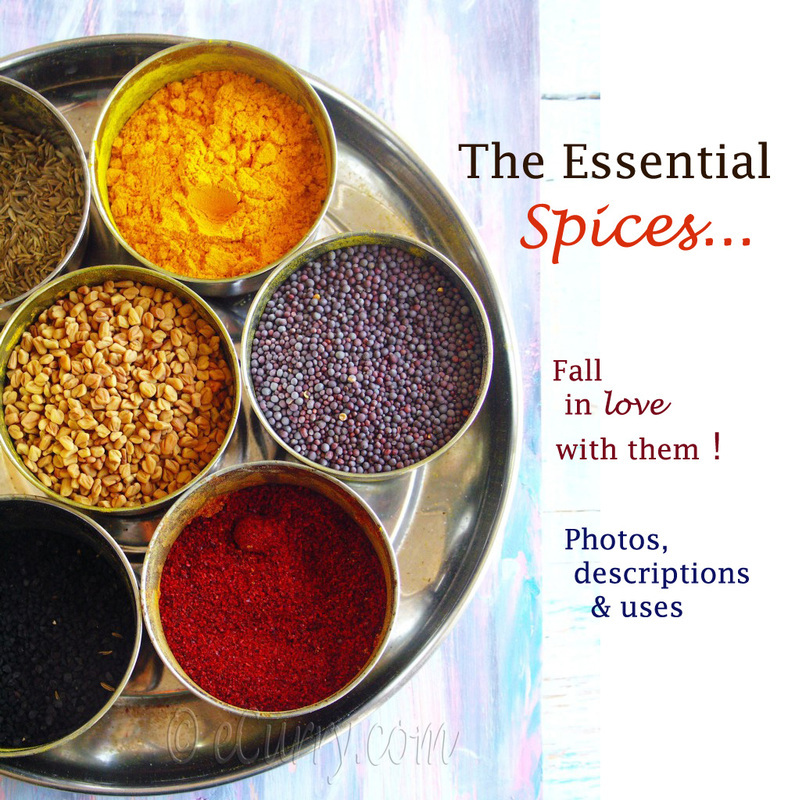 The recipe, the photographs and the way you tell the story everything is so perfect…. 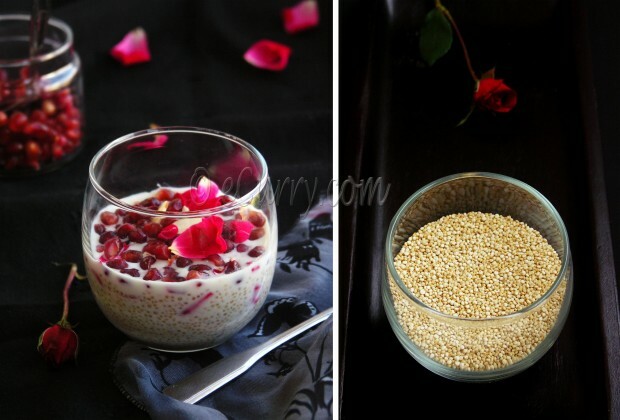 I must admit, I have never tried quinoa before….too scared 🙁 When I first saw these photos, I thought it was rice pudding. You sound ever so exited to go to India. I know the feeling. I will eb going back home this summer as well and so excited to see my family! 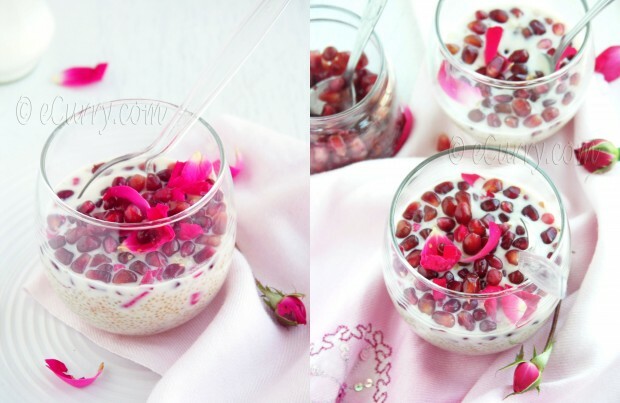 Even I love the quinoa pudding but never tried with pomegranate though.. looks so rich and colorful soma. The clicks are to the perfection as usual. looks so soothing and so fragrant ya all the things bright and pretty spring is made of. lovely. love the image of the pom seeds in the thali so rustic. What a delightful pudding! Those are refined flavors. The pudding is looking so yum…never seen any other pudding which looks so beautiful…lovely pictures and awesome presentation. will try this some time,..
Before I read the first word of your post I immediately thought the pudding and photos looked dreamy. What a gorgeous pudding. I love the flavour combinations. Very exotic! Oh wow, this is stunning…Looks like a great recipe! How wonderful that you will be vacationing in India for 6 weeks! That sounds incredible. I hope you have a wonderful time. I would be counting the minutes until I could leave too! When you first told me about this pudding 😉 I knew it was going to be a killer. And it sure is. I have never tried Quinoa and when I do this shd be the way to start! Lovely pudding. 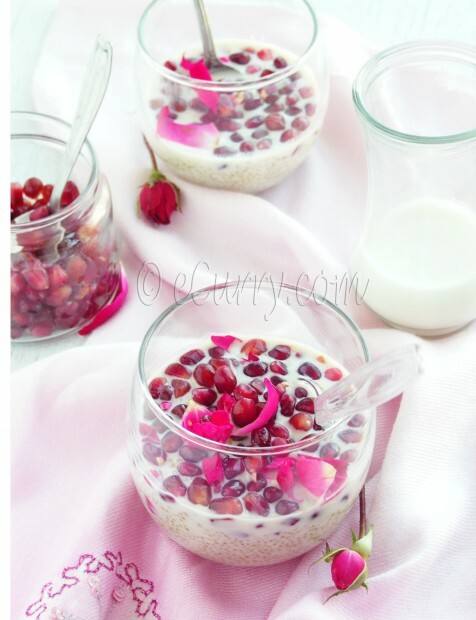 Loved the addition of rose and fresh pomegranate seeds in quinoa. Wud try ur version soon…beautiful pictures…. !!! Looks beautiful Soma. I have a pack of qunioa and this will be a good dish to start with. This is a gorgeous dessert, Soma! What a wonderful culinary imagination you have. It sounds as though you are going to have a wonderful trip. i’ve been following your amazing blog for a few months now. your recipes never let me down. amazingly everything turns out to be perfect when i use your recipes. Hope you have a lovely trip to India!! Soma, your images so beautiful! I would never have thought to use quinoa in a pudding but I can see here that it really works. 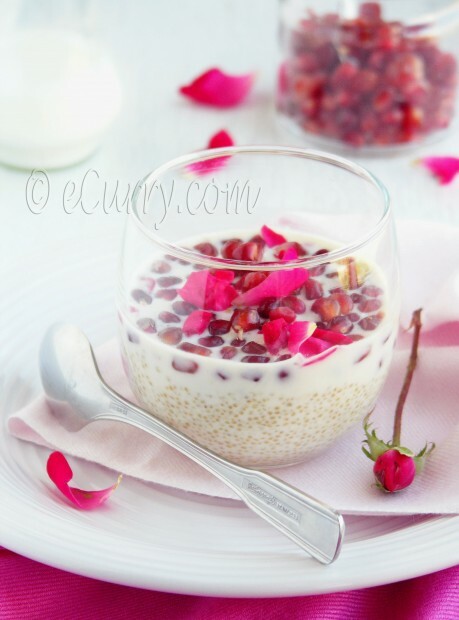 Your commitment to putting together the right flavors paid off quite well as the pomegranate and rose petals take this pudding to a different level. Simple, elegant, and colorful. Well done! This should definitely be the new love dessert – it has in so many things that are good for you and just enough to be naughty 🙂 Your presentations are always outstanding my friend. Hey Soma, When you tweeted about it I was looking forward to your post. It is so beautiful and what a nice change of pace and take on rice pudding! 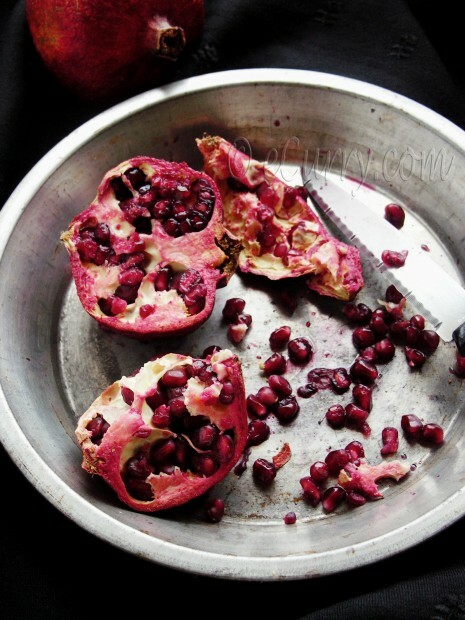 Love pomegranates and the contrast of colors!! Yum! Looks delicious and yummy. just loved your clicks. its beautiful. Drop me when time permits. your photos take my breath away. especially the one with the open pomegranates in the pan. gorgeous. This is so beautiful, I adore quinoa so this sounds really heavenly! This is absolute brilliant Soma, Rose and pomegranate are two most exotic flavours and when they are toghether, bound to be marvellous. 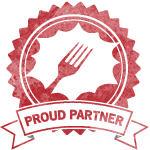 Thanks for introducing to thinkfood, it is really cool. 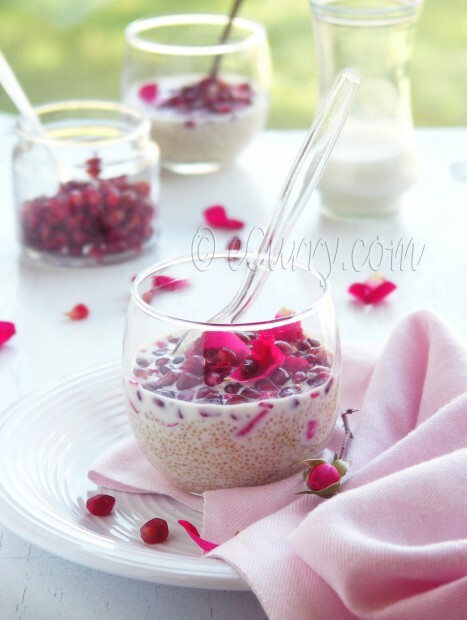 Quinoa in pudding form with elegant and fragrant touch! I love the rose pict alone! I love the pictures that go along with this recipe. This looks like quite the romantic desert. I love quinoa and it sounds not only delicious but healthy too. you will not believe…i was just thinking of rose in a dessert was wondering how it will be and here i’m surprised seriously very dreamy picture and dessert! Oh, it’s a delicate and romantic dessert!! I adore pomegranates (I have a tree in the garden) and the combination with roses is magnificent! Gurl you have done an amazing job with the photographs ….. I feel like eating out of it !! Vibrant and fresh !! what a beautiful presentation, and what a romantic dish! 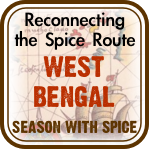 so happy to be subscribing to your beautiful blog. i’ve already found so much inspiration. Thanks so much for posting this! I made it last night for a dinner party but I used almond milk and cream for half and half and added white chocolate at the end of its simmer- I couldn’t get pomegranate either so I substituted Boisenberry garnish- it was Devine!! I can’t wait to make again.